Come and meet the breed at our Open Breed Show and Limited Obedience on Sunday, 14th April (see details below). Everyone welcome. There will be a shared buffet lunch, so please bring a plate of food. We welcome any donations towards the raffle held on the day. Tea, Coffee, Squash will be provided throughout the day by the Society, and there will be a SHARED BUFFET LUNCH – Please contribute by bringing a plate of food or a desert. Come and meet the breed at our Open Breed Show and Limited Obedience will be held on Sunday, 8th April (see details below). Everyone welcome. There will be a shared buffet lunch, so please bring a plate of food. To receive the reports of the President, Chair and Secretary. To present the certified accounts and approve accountant for the ensuing year. To receive the results of the annual elections. To discuss any resolutions placed on the Agenda. No business shall be transacted at the AGM unless notice thereof appears on the Agenda, with the exception of routine matters or those which, in the opinion of the Chair of the Meeting, are urgent. Items for the Agenda must be received by the Secretary in writing before the 5th March 2018. Nominations for Officers/Committee Positions must also be sent in writing to the Secretary before the 5th March 2018 (Nomination Form). If a ballot is required, the papers will be sent out with the Agenda and Balance Sheet not less than fourteen days prior to the meeting. Members are reminded that subscriptions are due on the 1st January each year. Only fully paid up members may attend and vote at the Annual General Meeting. Members failing to pay outstanding subscriptions by 31st January, 2018 will be automatically removed from the membership list. Trophy points sheets (download form here) should be sent to the trophy steward to be received at the latest by 5th March, 2018. 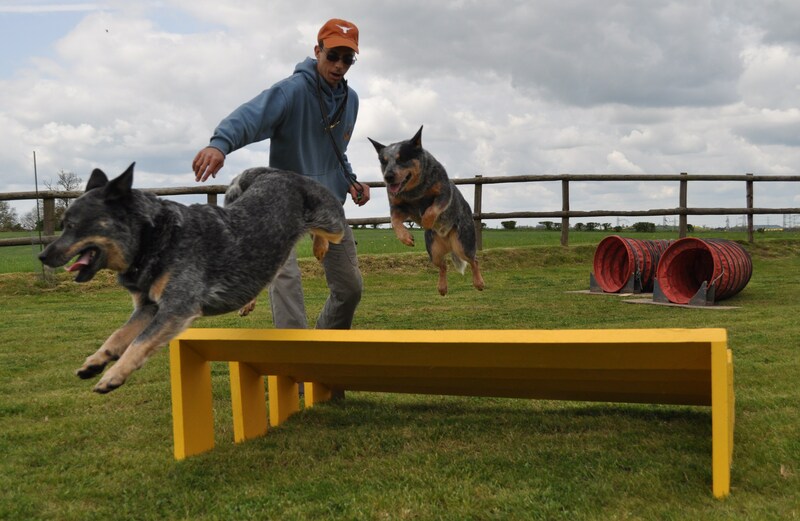 The Australian Cattle Dog Society of Great Britain Championship Show will be held on Saturday 24th September. There is a warm welcome to all, whether wishing to show, or just to meet the breed and other owners. Please feel free to contact the Secretary/Show Manager for further details (details on the cover of the schedule). All members will receive a notice shortly. Most events have a raffle to raise funds for the Society. If you have something lying about at home that you don’t want, why not bring it along? You never know, you might win it back!